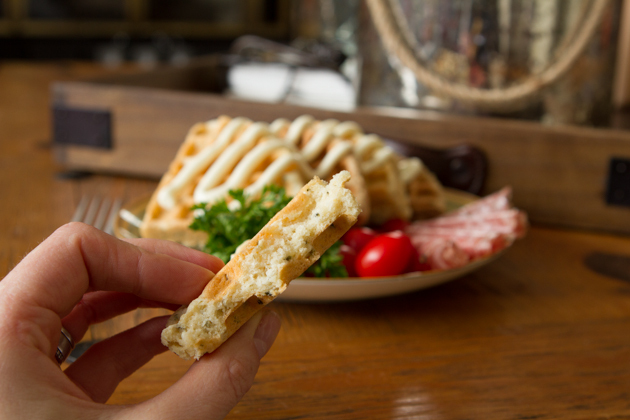 Savory, thick and dense keto “corn”bread waffles without the corn! Perfect for a keto breakfast, lunch or dinner. Top with your favorite keto sandwich fillings. 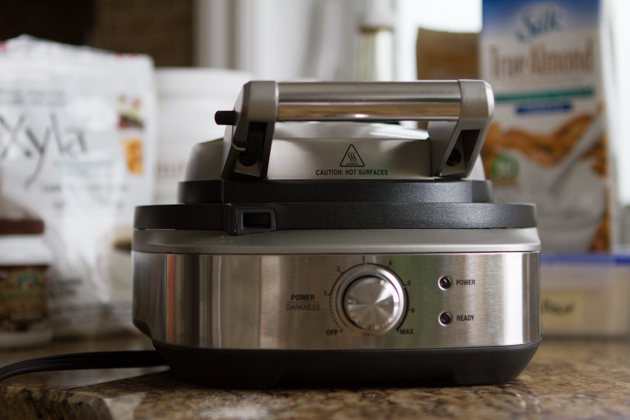 And, enter for a chance to win a Breville No Mess Waffle Iron for your healthy, keto holiday waffle making. I got a new waffle iron. It’s epic. 7 heat settings with a browning control that lets you decide how light or dark you want your waffle, every single time. 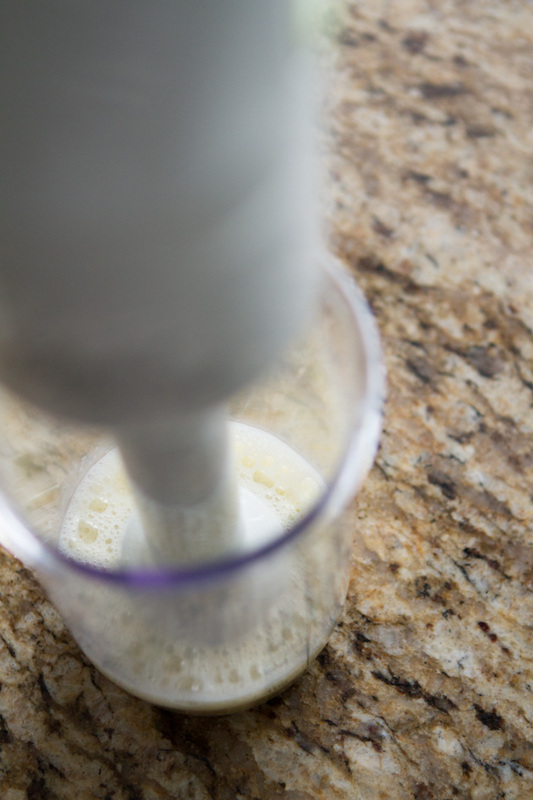 I’ve used this fancy new gadget every day for the last 10 days while working on this keto recipe for you and not once did I have to deal with batter spillage. Why? Because this baby’s got a moat. The idea of adding a moat around a waffle iron to catch rogue batter is brilliant. Virtual high five, Breville. If you’re interested in getting your own, the Breville 2-square Smart Waffle Iron is very similar to this one only it makes squares, not circles. I have a keto recipe for you! And it’s a good one. 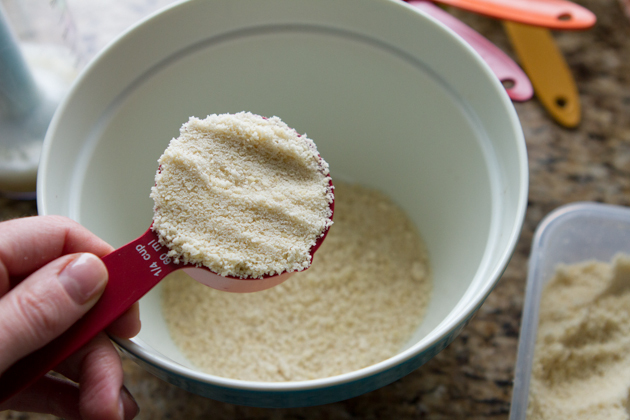 There’s a lot of almond flour out there. Some are finely ground (and expensive) others are coarsely ground (and less expensive). I had it in my head that I could use the coarse version (aka “almond meal”) for my keto Christmas baking this year. You know, to save money? But it’s impossible. Coarse almond flour doesn’t work well for cookies. They get all crumbly and weird. 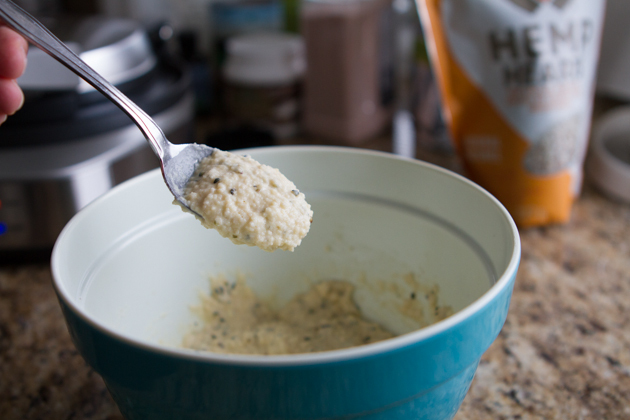 Now you know: if you’re baking with almond flour – keto cakes, keto cookies, that sort of thing, use finely ground so there aren’t chunks of almond in your keto cupcake. 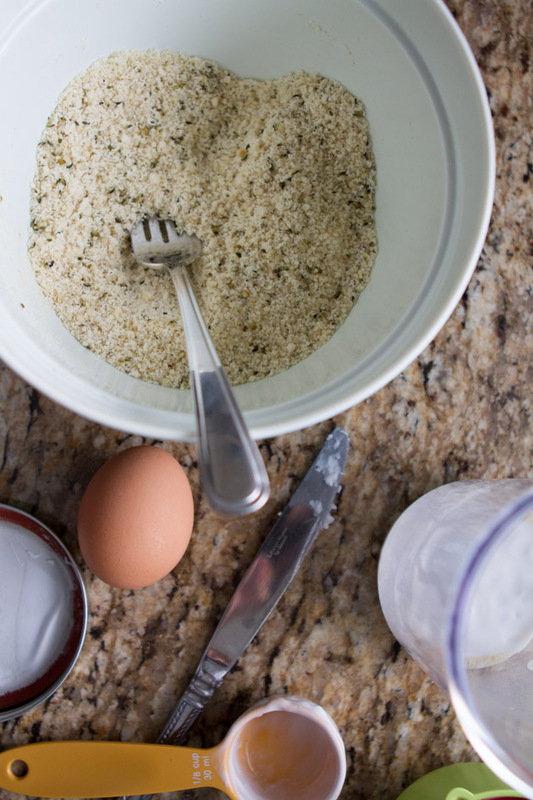 For battering chicken, making keto fish sticks, or making keto paleo cornbread, coarsely ground almond meal is the cats meow! I bet, you could replace the cornmeal in just about any recipe with this stuff! 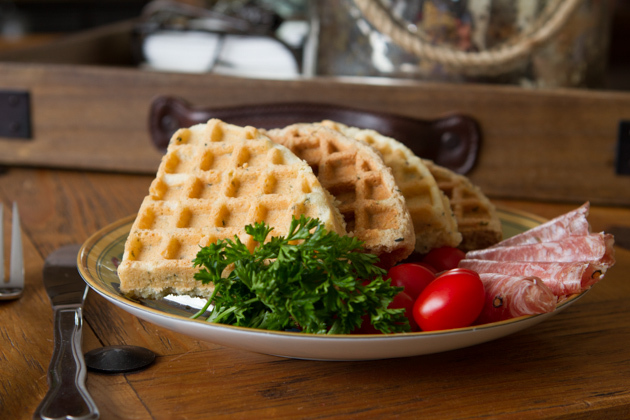 Start with these keto paleo cornbread waffles. 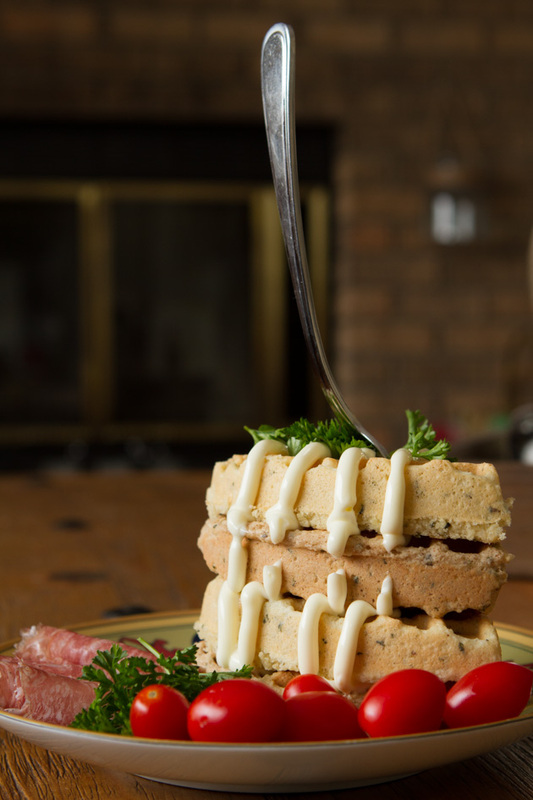 Top them like you would a sandwich and dig IN to the keto goodness! They’re great for keto breakfast, lunch, dinner, or snacks. Deliciously keto. And only 10 grams of net carbs. 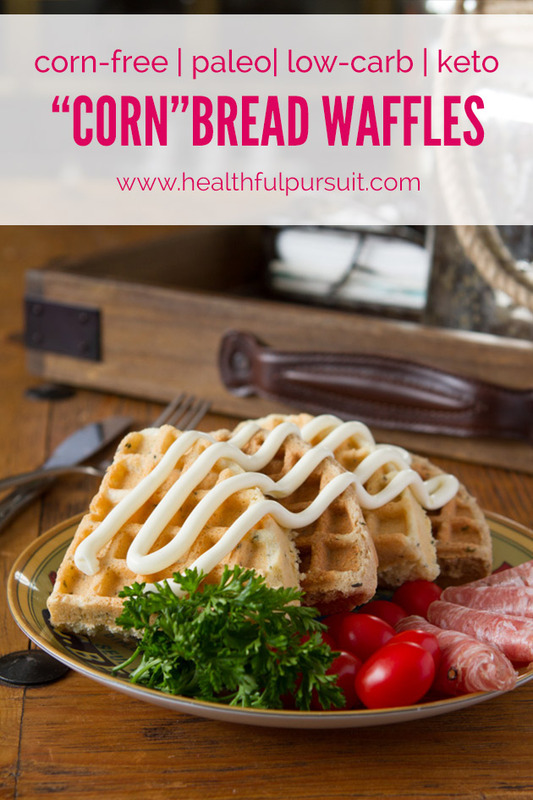 Savory “Corn”bread waffles without the corn! Paleo, low-carb, dairy-free and corn-free. Perfect for breakfast, lunch or dinner. 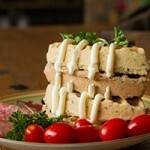 Top with your favorite sandwich fillings. 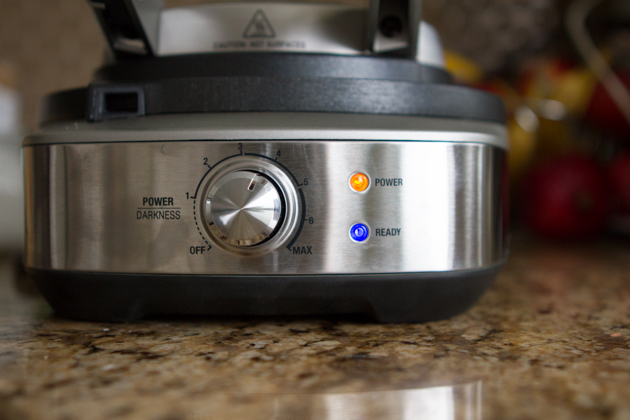 If you have a Breville, you’ll know it’s ready for batter when it beeps or flashes at you. If you look closely there, you’ll see how coarse the almond meal is. I used a bulk variety of almond meal (from Bulk Barn). 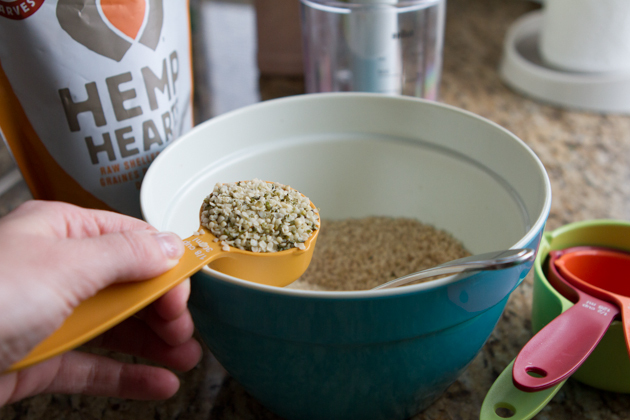 You don’t have to use hemp seeds in this recipe if you don’t want to… but why wouldn’t you? They’re keto, rich in healthy fats, protein, and they taste good. I’d like to think they added to the savory action this keto waffle recipe is sporting. 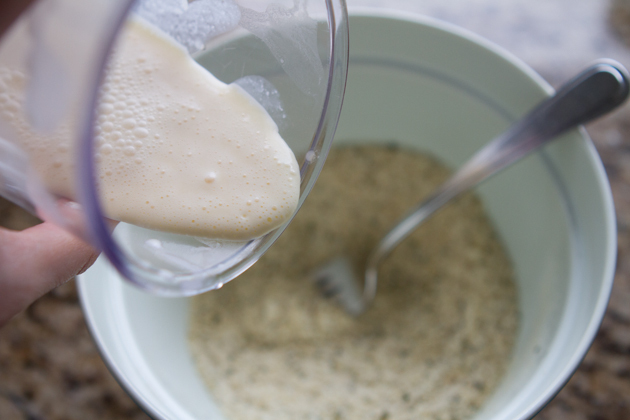 Then, add your whipped wet ingredients to the dry and give it a little stir. The batter will be pretty thick. It should stick to the spoon when you scoop it up. Don’t worry, this is good! Cornbread is thick and dense so you want thick and dense batter! Check out the insides! Perfectly cooked. There’s nothing worse than finding a recipe online, going to ALL that trouble, and then finding out it doesn’t work. Here’s proof.